This acquisition was a very smart move for Niantic. Right now augmented reality is still very much in development, we haven't even finished exploring the ways we can use it with our technologies at present, but Escher Reality was already laying the building blocks for the future. Today, most AR experiences aren't fully multiplayer. At least, not in the sense we got used to with console and PC games. Sure, you can team up with your buds in Pokémon GO to take down a gym, but you can't wave to one another in-game from across the field or see them catching a Pokémon down the block on your screen. 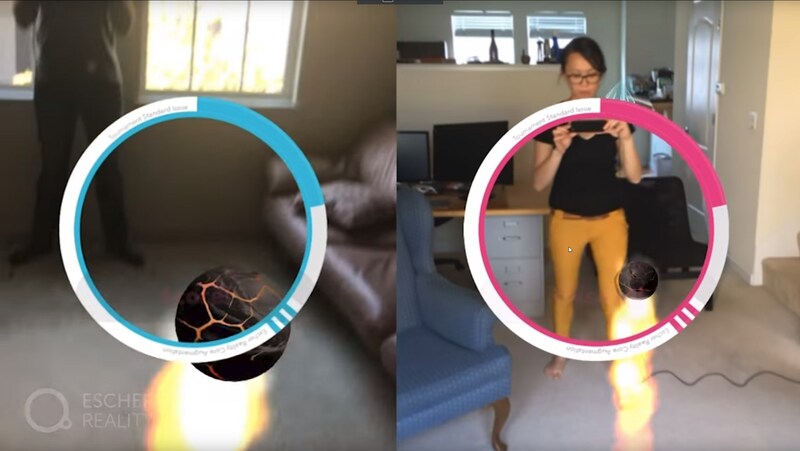 Multiplayer interactions are currently limited, but it's precisely these sorts of interactions that Escher Reality was working to develop with its new technology: super-low latency cross-platform solutions to allow near real-time persistent user interaction in an augmented world. Think persistent multiplayer worlds, fast enough to work with the low-latency required for AR. For more details on Escher Reality, you can read up on TechCrunch's excellent coverage of the company last year. Once you know what Escher Reality is all about, Niantic's purchase makes perfect sense. As the company with the biggest and most successful augmented reality game out there, buying Escher Reality and its technology gives Niantic a distinct edge in the future. Maybe someday players of Pokémon GO will even be able to have real-time battles against each other thanks to solutions built by Escher Reality's technology. Niantic isn't being too selfish with the goods it just acquired, either. In its statement today, the company says it intends to make its cross-platform AR tech available for developers later this year. So if you'd like to build your own fun stuff with Niantic's tech, you may just be able to.